Teachers: Please plan a visit to our Patriot Gift Shop as a part of your American Village experience. Every student should be prepared if you plan to shop in the gift shop. 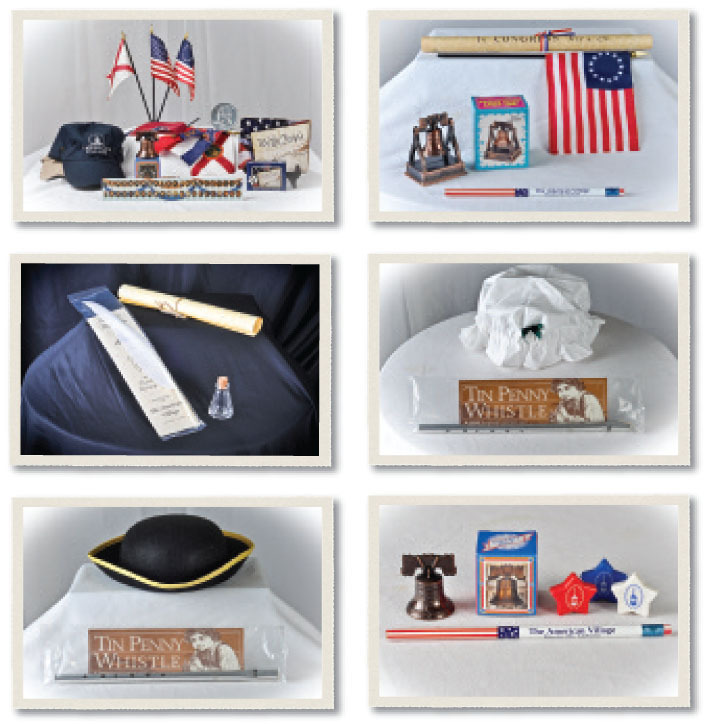 Items range in price from $1 - $20 and are typical of games, symbols and memorabilia of the Revolutionary Period. Patriot Packs, containing two or more pre-packaged items, may be pre-ordered and prepared prior to your visit. Patriot Pack prices range from $3 to $20.